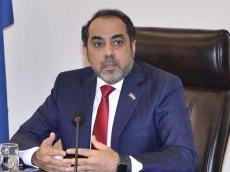 There are strong relations between Azerbaijan and the UAE, Ambassador of the United Arab Emirates to Azerbaijan Mohamed Ahmed Hamel Alqubaisi said. Alqubaisi made the remarks at an event in Baku on Dec. 3 dedicated to the 47th anniversary of the creation of UAE. Bilateral relations based on the principles of respect and cooperation, visits of the presidents, trade, economic and cultural relations, increasing tourist flow from the UAE to Azerbaijan testify to strong relations in various areas, the diplomat said. The ambassador also stressed that an event dedicated to the three-year anniversary of the establishment of the Chamber of Commerce between Azerbaijan and the United Arab Emirates, which contributed to the expansion of ties, was held two weeks ago.